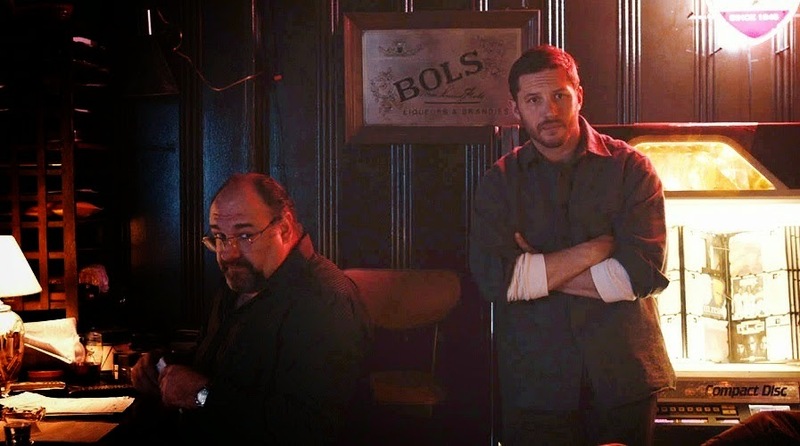 The story follows Bob Saginowski (Tom Hardy), a bartender who works with his cousin Marv (James Gandolfini) at a money-laundering “drop” bar owned by a dreadful Chechen mob. Lonely and seemingly purposeless Bob feels, he decides to keep an injured pill bull dog (Rocco) he finds in the trash of a house of a woman named Nadia (Noomi Rapace), whom he makes friends with. 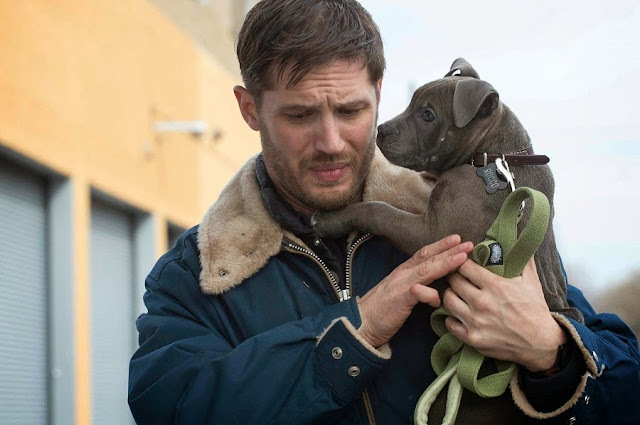 Little does he know that the dog had psychopathic owner named Eric Deeds (Matthias Schoenaerts) who’s rumoured to have murdered in the past. One night, the bar is robbed by two armed men and the Chechen mob wants the cousins to retrieve the stolen money. The robbery also triggers the police to investigate further about the bar and Bob’s rather peculiar character. 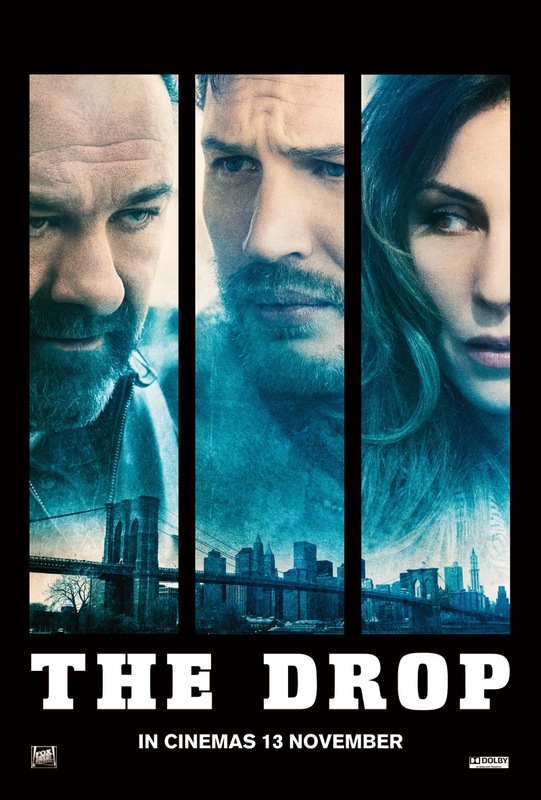 Written by Dennis Lehane (Shutter Island, Mystic River, Gone Baby Gone), The Drop is based on his very own 2009 short story titled Animal Rescue, which probably explains why the film feels so dragged. Or perhaps it’s director Michael R. Roskam’s intention to provide the characters and the ending a solid development and buildup, which he did for most parts. No doubt, the film’s main themes are nothing new. We all already know darn well that we can never judge a book by its cover and that there can genuinely be two sides of almost every person, especially in movies. And among all the similarly themed films, this has got to be one of the slowest paced ones I’ve ever seen, and it’s not like it doesn’t have minor conveniences to help speed it up a little. However, it’s also one of the most well acted one, with an effective climax that the film works so hard (and long) building up towards. I don’t see Tom Hardy getting an Oscar for his role here but what a great acting display by the Englishman. We’ve seen him play all kinds of different roles in his career thus far from playing an angry fighter in the sport drama Warrior (2010), to a girl-courting cop in the chick flick This Means War (2012), to Batman’s villain Bane in The Dark Knight Rises (2012). Earlier this year we’ve seen him in Locke that shows that he could carry a film even though he’s only talking on the phone while driving the whole time. Here, he plays Bob, a seemingly slow-witted, naive nice guy but has a darker side underneath that he tries to keep away. Hardy portrays the character so well that the audience wouldn’t be able to put their fingers on. I haven’t seen all his films, but I believe his performance here is the best in his career thus far. 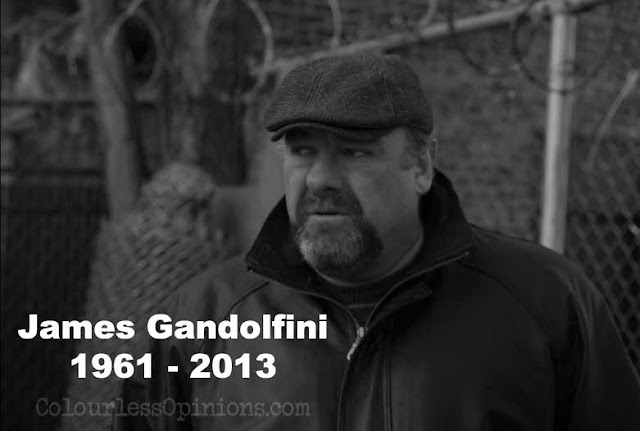 This film is the final appearance by James Gandolfini, who passed away after a heart attack in 2013. The multiple award-winning actor has had some brilliant performances in his career and prior to The Drop, he played a completely different type of role, as a sweet man with a sense of humour in the romance comedy Enough Said. Here as the character Marv, a poor life-weary moaner with a lonesome plot to rob his own employers behind his cousin’s back, it reminds us what an unbelievably natural crime actor we’ve lost. Award-winning Belgian actor Matthias Schoenaerts (Loft, Bullhead, Rust and Bone), too, gave a fantastic performance convincing the audience that Eric Deeds can be either a real psycho or just a brave faker. Noomi Rapace (Prometheus, Swedish adaption of The Girl with the Dragon Tattoo novels), however, was not really given enough time to explore her character Nadia. Nevertheless, these main cast are just simply amazing, all of them could play almost all kinds of roles and it’s largely because of that this film triumphs in its purpose of depicting how people have other sides we might not see coming. While the narratives are plodding through the first 70 – 80 minutes, it also compels and engages audience to seriously wonder about the characters, and concern that Bob would lose either the dog, the girl or his life. It then all boils down to the climax towards the end (which somehow reminded me of that Michael Corleone restaurant shooting scene in The Godfather) and a not-so-surprising twist. The film does have a lot of subtle red herrings but there’s no cheating – not everything is forcefully hidden to provide shock value. The brilliant performance by the main cast along with the little hints placed here and there already allow the audience to perceive otherwise on their own. This only Michael R. Roskam’s second featured film in his directing career and he’s proven that he can be one of the top directors for this genre. His directorial debut in 2011 with his Belgian film Bullhead was nominated for an Oscar in the category of Best Foreign Language Film, and with The Drop showcasing how well he could work with English language productions, we can definitely expect to see more from him in the future. Censorship in Malaysia: Nothing was noticeably censored for the press screening held at GSC Mid Valley Megamall. Quite a few of vulgarities but there’s a possibility that nothing would be cut at all since the film is already rated 18 anyway. Second opinion: My girlfriend said that it’s not her cup of tea, forgettable and that it’s too slow but she still gave it a 70% mark. Verdict: Rewarding for those who can be patient without trying to predict the ending.